OU-Tulsa Student Researchers Need Your Help! 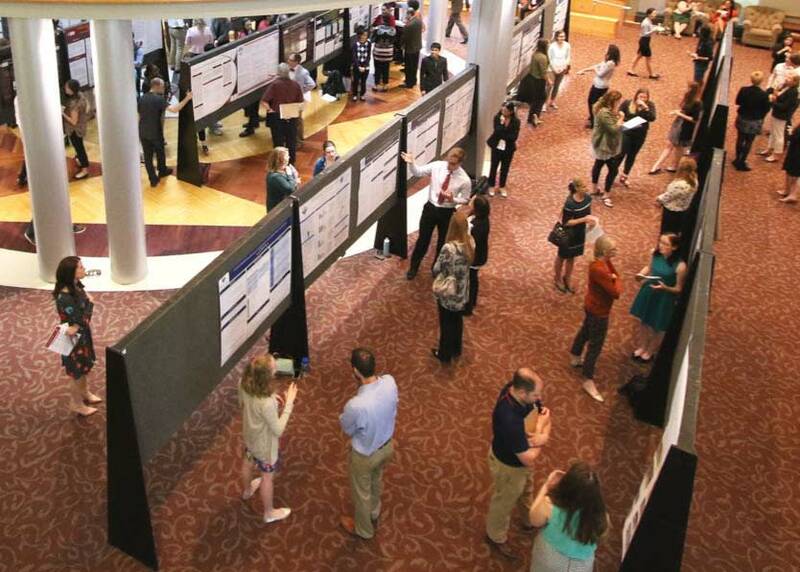 The OU-Tulsa Research Forum is an annual multidisciplinary event that showcases research from all colleges on the OU-Tulsa campus. The event has grown from a small event in 2002, with only 14 abstract submissions on health research, to approximately 80 submissions per year. Students are provided an opportunity to showcase their research in the areas of biomedical, education, engineering / applied research, or social / behavioral and community service. All researchers submit a poster on their topic and findings. In addition, they are required to make a presentation to peers, faculty, and community leaders during the forum. Winners are selected in each category. 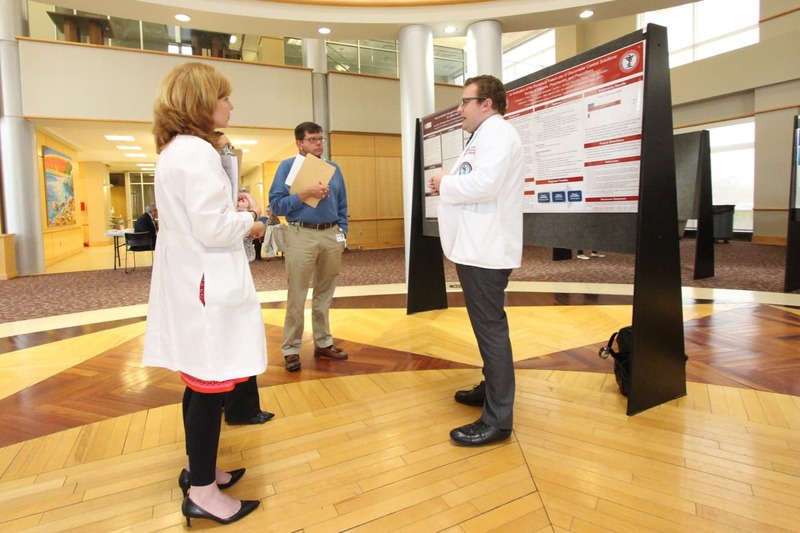 OU-Tulsa student and medical residents seldom present their research outside of Oklahoma due to the cost involved. The reality is that many Tulsa students are struggling to balance their education with job and families; therefore, they simply do not have the financial resources to underwrite the cost of travel and fees associated with national conferences. Travel awards are essential to helping these OU-Tulsa students showcase their research nationally. Your contribution will enable OU-Tulsa student researchers to present their findings at conferences across the United States. Funds generated through this campaign will provide travel awards to two top researchers at the 2018 OU-Tulsa Research Forum, scheduled for April 18. 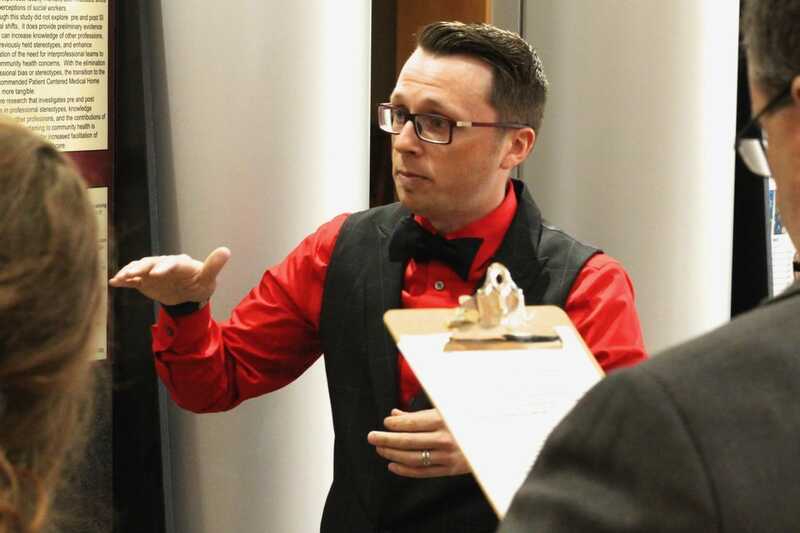 Specifically, your gift will help underwrite travel expenses and conference registration fees associated with showcasing the students’ research outside of Oklahoma. All contributions are tax-deductible and will directly benefit our student researchers — every gift counts! You can help promote this campaign by sharing our message on your social media, emailing your friends and family, and talking to your colleagues. We believe that together we can make a difference in the lives of OU-Tulsa student researchers by providing them with the means to present their research nationally. Thank you for your commitment to OU-Tulsa. Your investment not only impacts the lives of our students today, but also lays the foundation for the future of our community. 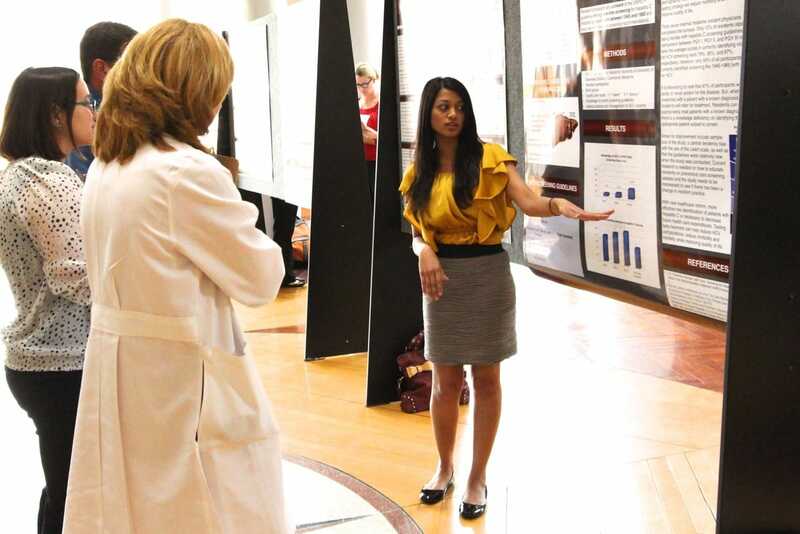 Help deserving OU-Tulsa students take the first steps to present their research nationally. You can help underwrite the cost of one meal for an OU-Tulsa student while they are out of state presenting their research. Your gift will underwrite the cost of presentation materials for one OU-Tulsa student researcher. Support an OU-Tulsa student researcher by sponsoring one hotel night during their stay. 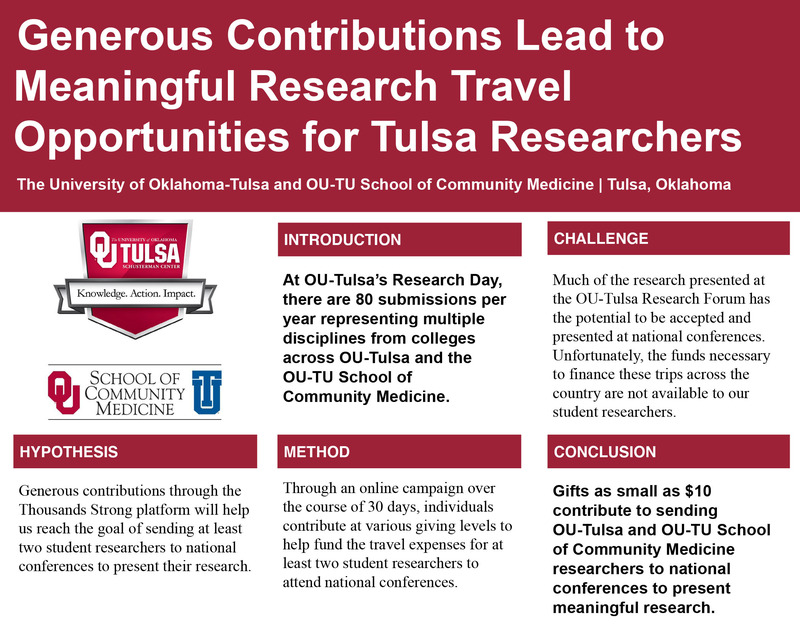 Encourage an OU-Tulsa student researcher by providing a gift that will cover the cost of their conference registration. Provide vital assistance to underwrite the cost of a plane ticket for an OU-Tulsa student researcher. You are changing an OU-Tulsa student researcher’s life by providing a $1,250 travel award, which includes travel, conference registration and amenities!